Whether you are a bride that needs assistance with executing the details of the most important day of your life, a maid-of-honor tasked with planning a memorable and meaningful bachelorette party, or someone responsible for creating an unforgettable gathering for a milestone occasion, i.e, birthday, retirement, anniversary, etc., Ellie will ensure that your day is just as special as you envision it to be. Whether you've just gotten engaged, or you're well into your planning process and realize you could use some assistance, we are here to help! Every wedding is unique... because every love is unique. With that in mind, we are committed to tailoring our services to meet your specific and individual needs. A list of our most popular packages can be found below. For all other types of events, please inquire. You just put a ring on it + you have a guest list, but that’s about it. 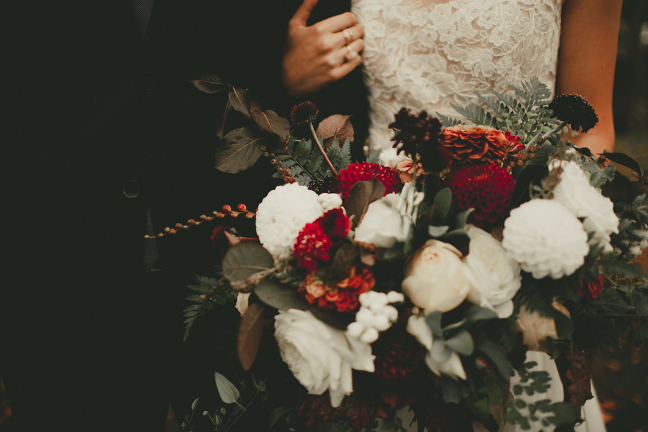 We will work with your personal style + budget to help you choose your dream venue, manage your vendor selection, and ensure that each and every styling detail of your wedding is addressed. This package also includes all services noted in the ‘Day Of’ Coordination Package. Planning starts immediately upon booking. This is our most popular package! You have your venue + catering company but need help bringing your Pinterest boards to life. We will start working together 8 months out from your wedding date to help with vendor selection based on your personal style + budget. We will have monthly meetings to keep your planning on track while working hand in hand with design vendors to create just what you have been dreaming about. This package also includes all services noted in the 'Day Of' Coordination Package. For the couple that already has everything planned, but needs every detail to be executed seamlessly on their wedding day. We’ll start working with you two months prior to your wedding date to: create a custom floor plan + timeline +take over vendor communication + logistics + manage décor set-up + facilitate all aspects of the rehearsal. On your wedding day, we will be the first to arrive + the last to leave, making sure that each and every detail is implemented throughout the day. Lets get together for a cocktail + get you on the right track to planning your dream wedding. For the couple who has no idea where to begin their planning process + needs a kick-start, we can provide you with all of the materials you will need to get yourselves headed in the right direction. I was born and raised in the greater Seattle area, where I started my career in events and just recently moved to Chelan. I feel so fortunate to have solid vendor connections in both Seattle and in Chelan, which comes in handy for my West side clients. I truly care about my clients' needs and take personal pride in achieving exactly what they expect on their special day. When I'm not working hard to make your event unique and unforgettable, you will find me outdoors, adventuring with my husband, Kurt and fur-child, Harold. In keeping with my love of Washington State and all it has to offer, I am a big fan of supporting local businesses and artisans, and can therefore be found exploring local wineries and eateries plus getting outdoors here in the beautiful PNW as much as possible.